Pennsylvania State University in 2016. During his time at Penn State he was heavily involved outside of the classroom, where he served as the president of Penn State’s Society of Petroleum Engineers student chapter while also co-founding the Penn State Energy Marketing Association. He interned with Armstrong World Industries as a Process Engineer this past summer, working on developing a proactive system which would predict the acoustical performance of ceiling tiles as soon as the raw materials were accumulated into a board. Derrick also completed two internships with Chesapeake Energy, one of the largest natural gas producers in the United States. 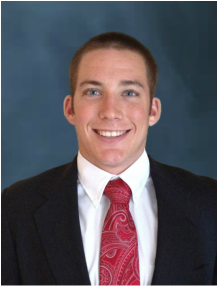 The first internship was spent in Chesapeake’s Appalachian South Business Unit where he worked specifically with artificial lift in the Utica Shale. He spent his second internship in Oklahoma City, OK working to optimize the company’s use of stimulation additives in the Powder River Basin. With his oil and gas related experience, Derrick looks forward to conducting research associated with the treatment of flowback water from hydraulically fractured wells.